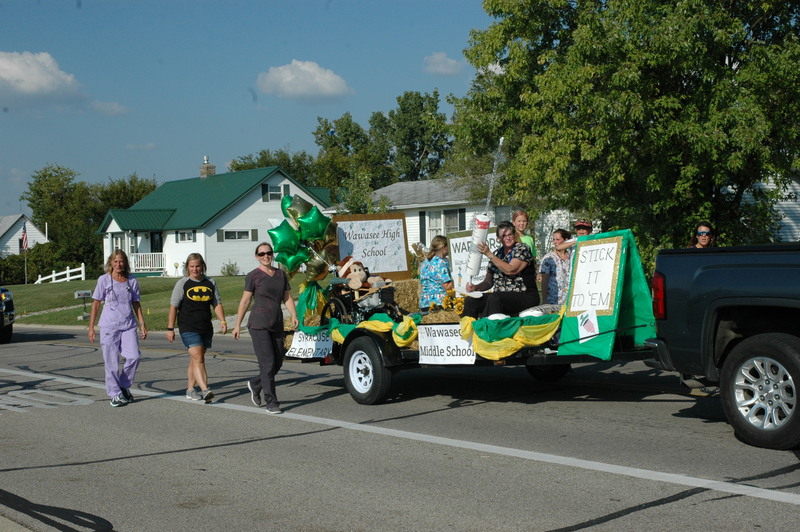 SYRACUSE — Years ago the Wawasee Homecoming Parade was an annual event. Last year the Syracuse Parks Department prompted the return of the parade in part to celebrate the bicentennial. Since there were so many school entries it has been brought back for another year. The Homecoming parade began at 4:30 p.m. Friday, Sept. 22, at the Syracuse Community Center. They traveled down Main Street, through the Wawasee High School parking lot and finished at the new Syracuse Elementary School. Parade entries were open to all members of the community and there was no specific theme. Students, local businesses, clubs and the Wawasee High School marching band turned up to participate. Those who have old cars or tractors were also invited to participate in the parade. This year the parade had 20 or more entries. For the first time food trucks were available from 5-7 p.m. in the Wawasee High School parking lot for community members tailgating before the football game or attending the parade. The Homecoming football game began at 7 p.m. 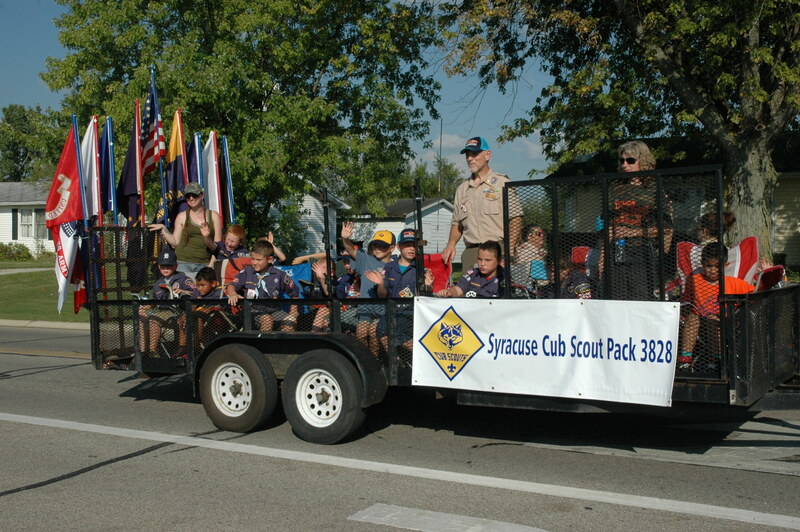 The Syracuse Cub Scout Pack 3828 followed the police cars to begin the parade. 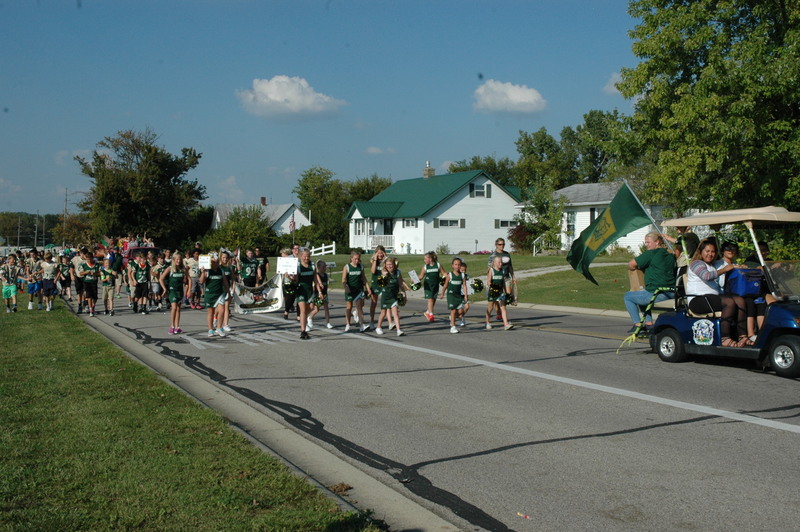 The Wawasee High School marching band performed during the Wawasee Homecoming Parade. Warrior football was represented in the parade with young football players and cheerleaders.